Love it or hate it, you’ve got to admit the Super Bowl provides a great excuse for staying in on Sunday afternoon with a big snack spread. And we don’t know about you, but we never miss an opportunity to whip up an easy Buffalo chicken recipe, football or not. We know Buffalo sauce is nothing but jazzed-up hot sauce and melted butter, but that doesn’t make it any less perfect. Somehow, we can eat a whole lot of Buffalo-spiked snacks without getting bored of the flavor. So this year, we’re going to dedicate our entire Super Bowl spread to the magic that is Buffalo sauce. 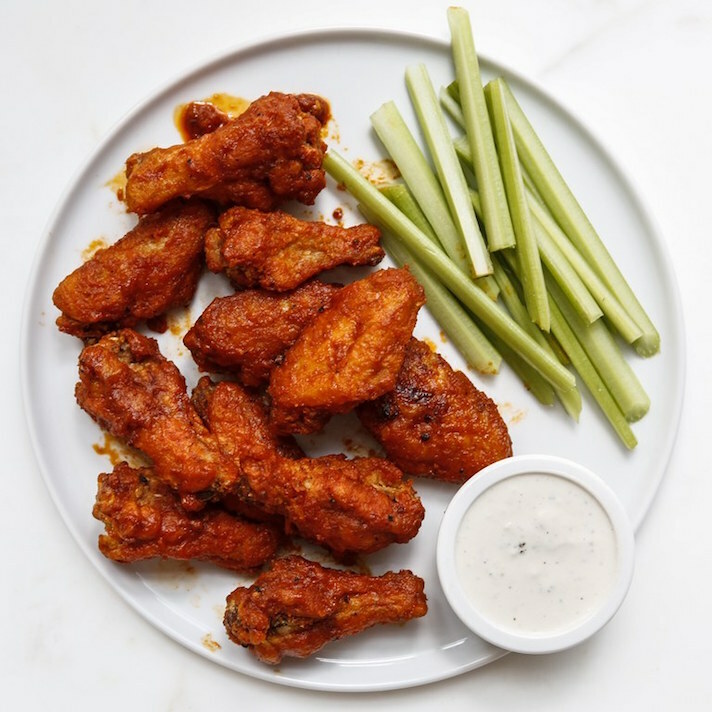 If you’re also game to drench your whole football party spread with buttery hot sauce, these 11 easy Buffalo chicken recipes are a great place to start. Start with Buffalo chicken dip and cheese sticks (yes! 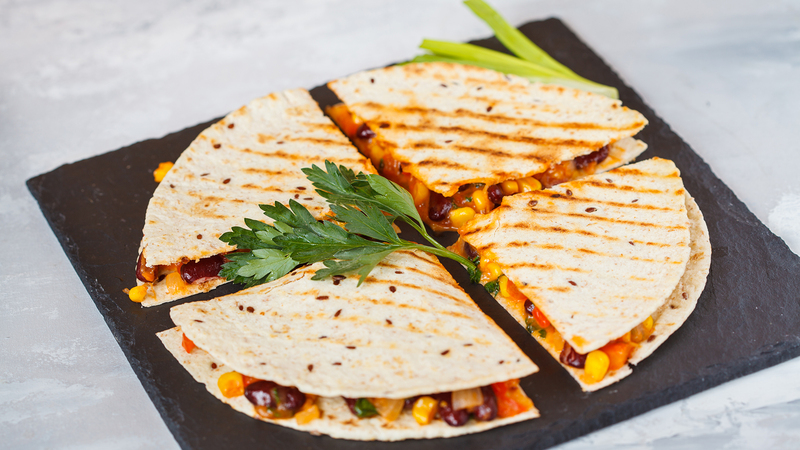 ), then move into sliders, nachos, quesadillas and more. No matter how long the game goes, you’ll have enough snacks to get you through. 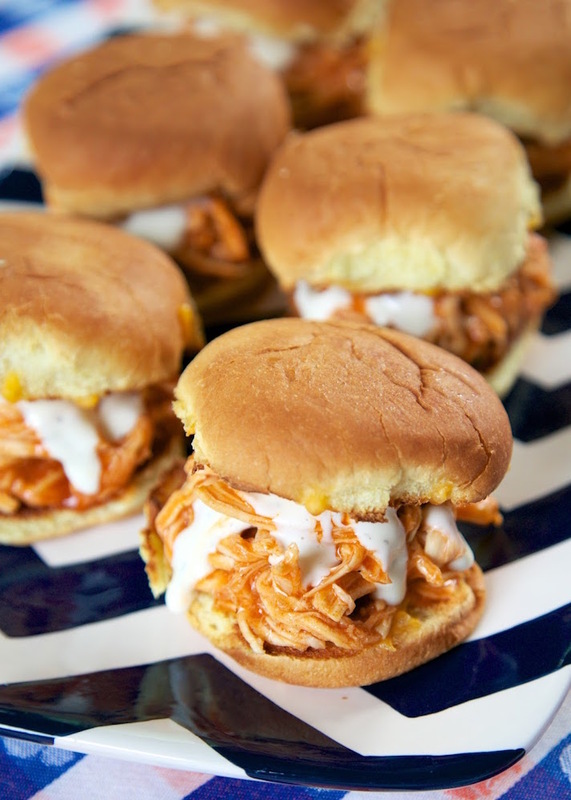 Let’s start with a classic: Everyone will flip for Buffalo chicken sliders. Image: The Life of Jolie. 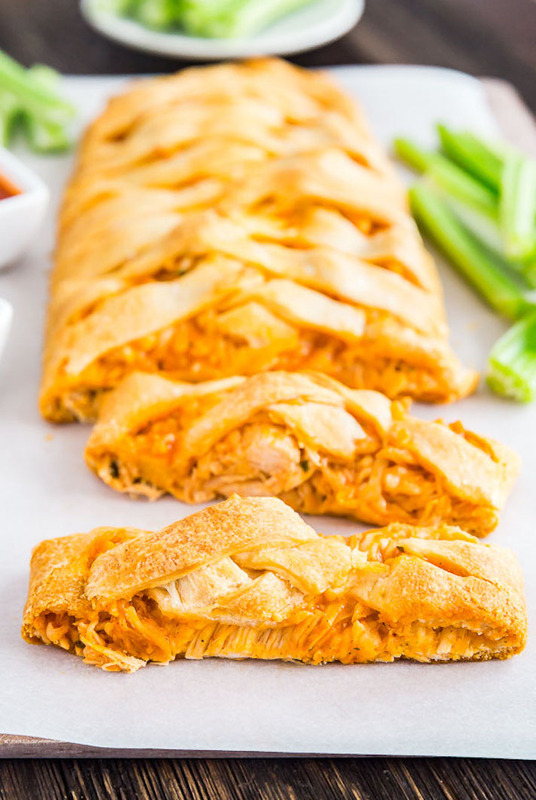 Use refrigerated dough to throw together this impressive-looking but foolproof Buffalo chicken braid. 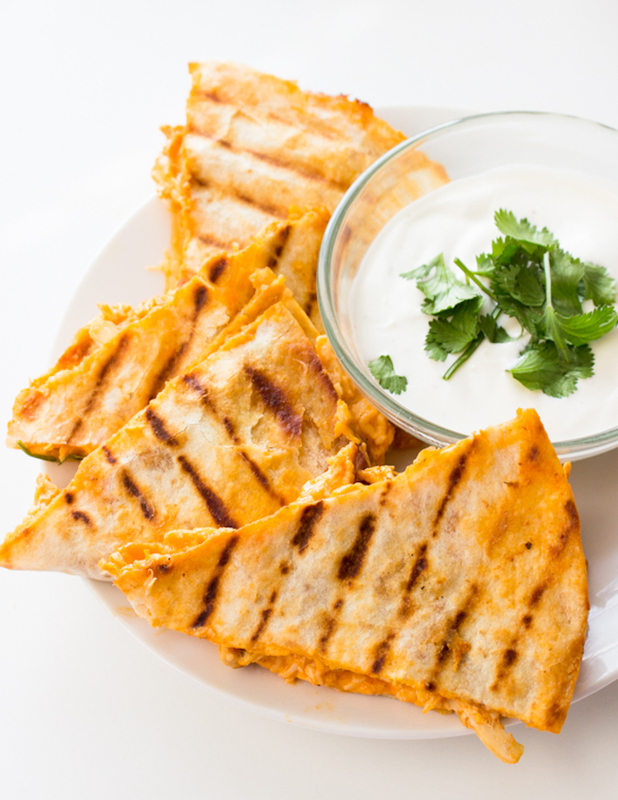 If you’re in the market for a tidier option, whip up a few Buffalo chicken quesadillas for guests to snack on. But we can’t promise they won’t go crazy for the dipping sauce and make a mess anyway. 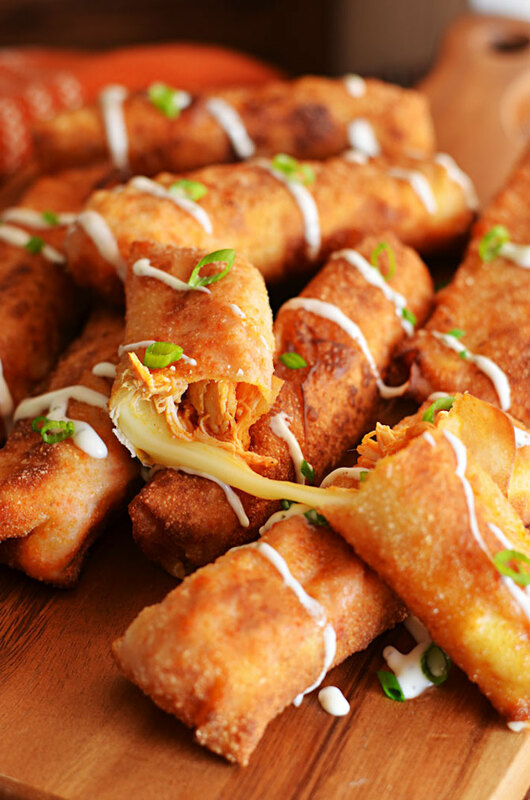 There’s no better use for string cheese than these Buffalo chicken mozzarella logs. 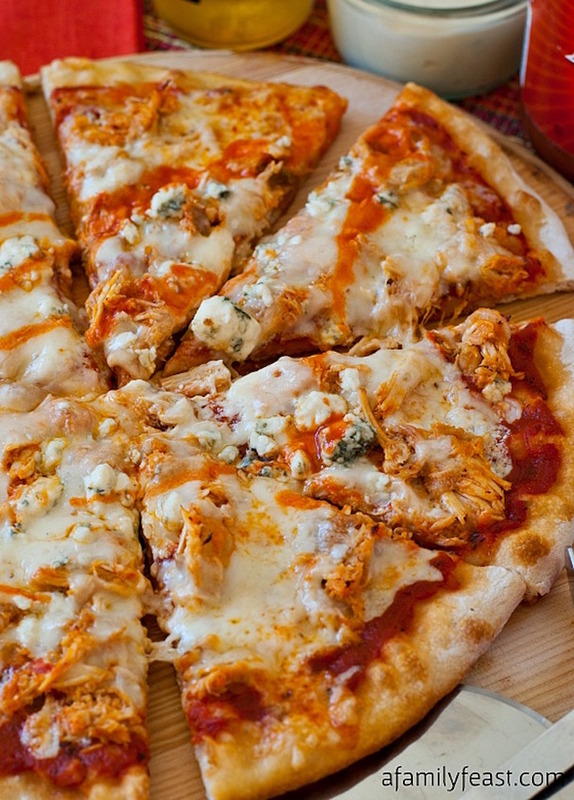 It’s up to you whether this Buffalo chicken pizza gets cut into big slices or little squares. Either way, it’ll be gone before the end of the first quarter. 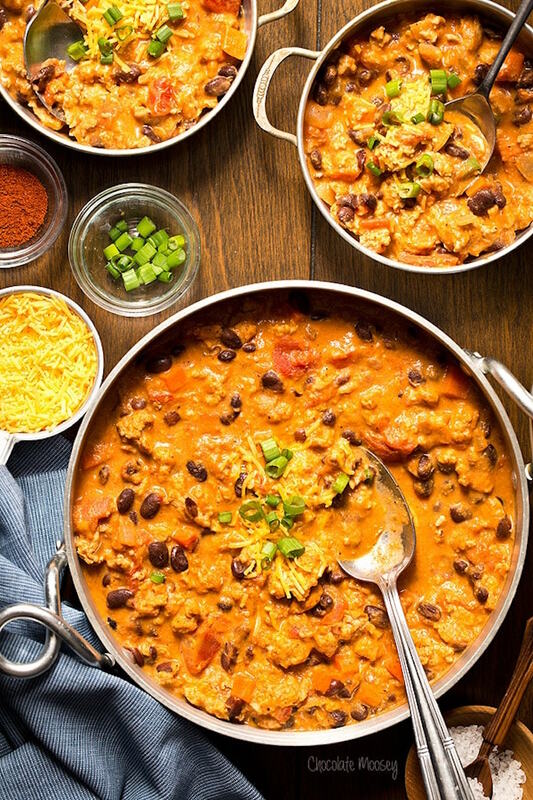 Take a break during halftime and ladle up bowls of Buffalo chicken chili. Image: Cupcakes and Kale Chips. 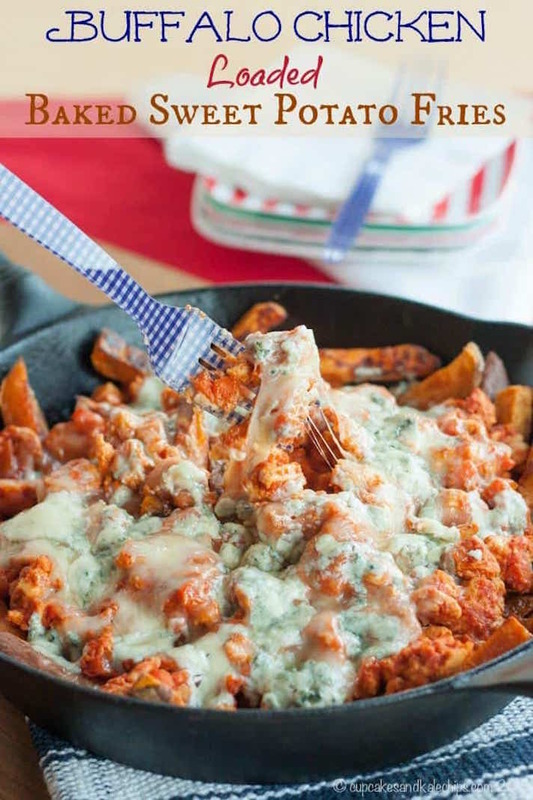 These Buffalo chicken-loaded sweet potato fries might be bad news for your couch cushions, but we think you’ll find they’re worth the cleanup. It ain’t a football party without hot wings. 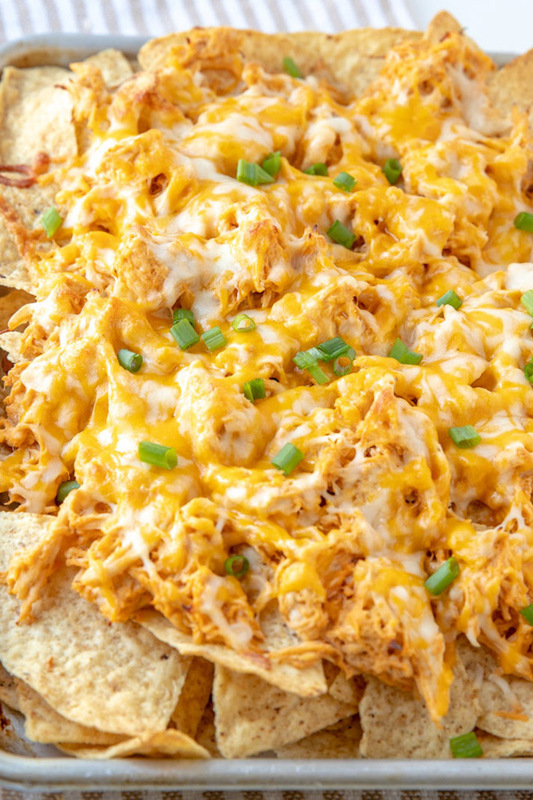 Warning: These Buffalo chicken nachos will definitely upstage the game. 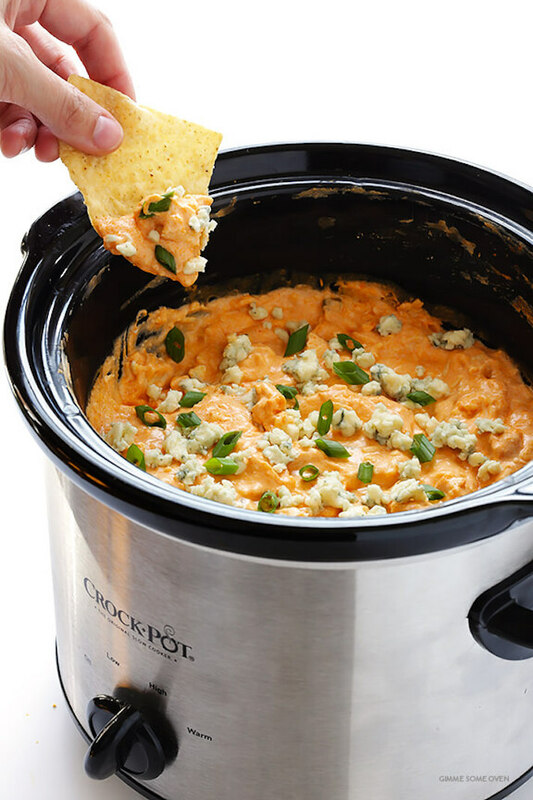 Your slow cooker does all the work to make this Buffalo chicken dip and will keep it warm all evening. Loaded potato skins are fantastic. 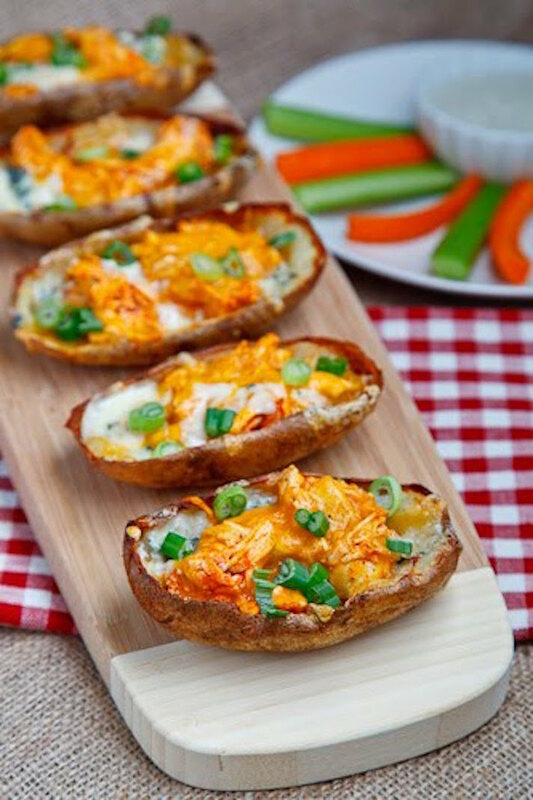 Loaded Buffalo chicken potato skins are even better.